Since the summer of 2015, a new LTE router Huawei B315 for speeds of up to 150 Mbit/s download is available. As the device also provides four fast Gigabit LAN ports, a wireless interface and a phone interface, it is ideally suited as a DSL replacement. The Huawei B315 router can also be used with UMTS and GSM network in addition to LTE. In the following information sheet you will find all the details for Huawei B315. 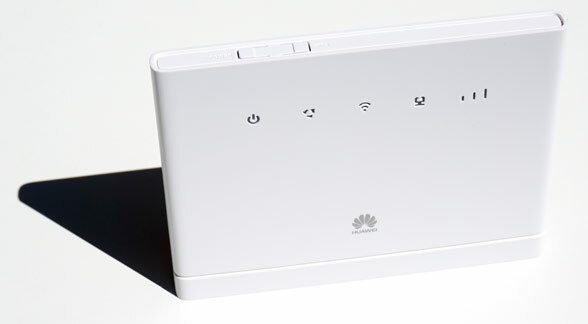 The Huawei B315 Router has an integrated multimode modem for LTE, UMTS and GSM networks. In LTE network speeds of up to 150 Mbit/s downstream and 50 Mbit/s upload is supported (LTE Category 4). In the UMTS network, up to 42.2 Mbit/s in download via the data accelerator DC-HSPA+ is available. If reception is poor, user can connect external antenna to the Huawei B315 which has two SMA interfaces on the back, which are hidden under a cover. Equipment such as computers, laptops, tablets and smartphones can be connected with the Huawei B315 either via WLAN or Ethernet LAN interfaces. The four RJ45 LAN ports operate according to the Gigabit standard, thus enabling data rates of up to 1000 Mbit/s. They are therefore also ideal for network hard drives incorporate or stream HD movies on your home network. The wireless connection is up to 300 MBit/s fast, but only supports the frequency range of 2.4 GHz and 5 GHz band. Huawei B315 can connect an analog phone via the rear RJ-11 port. 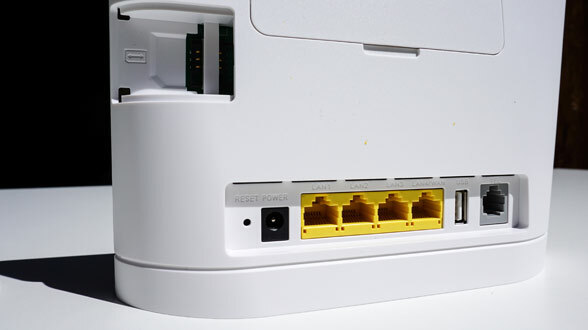 If the inserted SIM card phone connections, the router can therefore be used for outgoing and incoming calls. However, the router can only support telephone calls via the GSM and UMTS mobile network. The VoLTE is not yet available on huawei B315, and the voice calls over the Internet regardless of the inserted SIM card are is not supported. The Huawei B315 LTE router is now available without a contract and without SIM lock in online trading, for example, on http://www.4gltemall.com. The device is only available without a contract, the mobile phone operators in Germany, Austria and Switzerland do not sell the Huawei B315. If you like this new router, you can refer the online store www.4gltemall.com .